Perhaps as much as any city in the world, Honolulu holds a very special connection to modernism and midcentury design. Across the city, some of the period's most noteworthy and beautiful designs are scattered before our very eyes. For many of us, we've walked or driven past these architectural gems hundreds of times — structures like the State Capitol, the IBM building, the Liljistrand house, and the Board of Water Supply to name just a few — completely oblivious of their standing and place in architectural lore. So, right about now, you may be scratching your head and asking yourself just what in the heck constitutes midcentury architecture. As the name suggests, midcentury architecture came to prominence in the middle of the 20th century and defined itself by connecting design with nature, utilized innovative post-war materials, emphasized flat or gabled roofs, large windows and built many of its structures on post and beams as opposed to simple walls. If you've ever seen an episode of Mad Men, then you've seen midcentury design. Hawai'i State Capitol, designed by John Carl Warnecke. 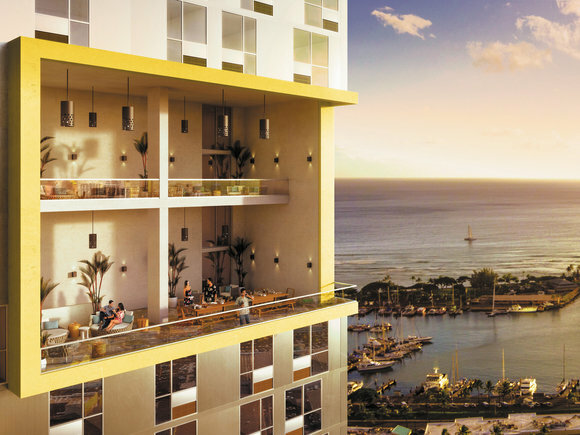 Out of the building boom that arose in the United States following the end of the Second World War and Hawaii's admission into the Union in the late 1950s, Honolulu proved to be the perfect slate for midcentury architecture to flourish. As Architectural Digest put it, the city was abuzz with great design following statehood. 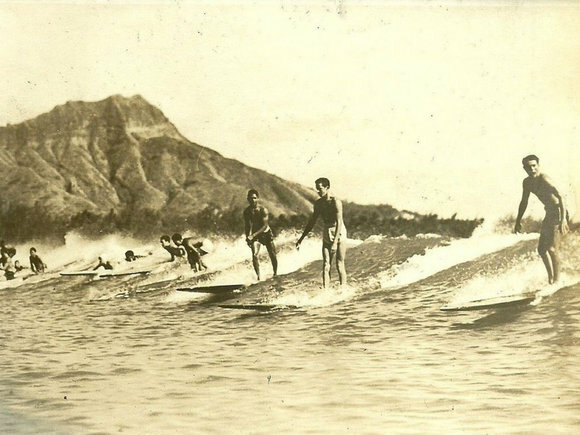 "With modernist design in full swing when the island earned statehood in 1959, the capital city of Honolulu is an architectural time capsule, thanks to a coterie of West Coast visionaries like Vladimir Ossipoff and John Carl Warnecke." 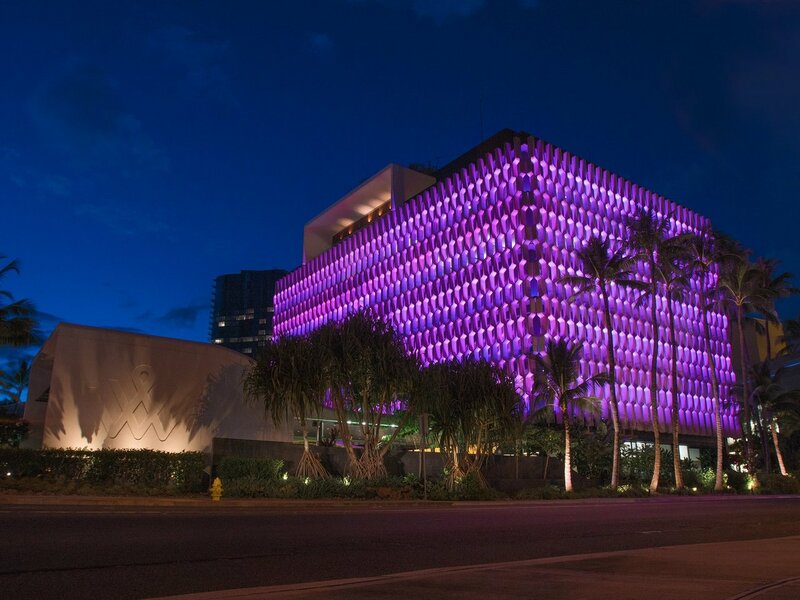 During his heyday, Ossipoff was responsible for designing an array of midcentury marvels, like the iconic IBM Building, which was erected for the tech giant in 1962 and currently serves as the primary office for Ward Village and a hub for the city. With its unique cement façade – known architecturally as a brise-soleil – the design of the building can be used to minimize an onslaught of sunlight from entering space, all the while deterring nesting birds. The IBM building is unlike anything else you'll find in the city and is a beacon for midcentury design. Like all great design and architecture, the building tells a story. From a macro standpoint, it serves as an homage to IBM's rich technological achievements, the brise-soleil is meant to resemble a computer punched card. But to fans of midcentury design, it's not just clever; it's breathtaking. According to Ossipoff, the most important point of the building, however, was the character of the building itself. "Not only does the systematic and repetitious pattern of the concrete grille [the brise-soleil] express the computer-world character of the IBM Corp," he told the Honolulu Advertiser in 1966, "but it also gives the building a sense of belonging in the sun. The deep shadows of the grillwork become as significant a part of the architecture as any part of the structure itself." 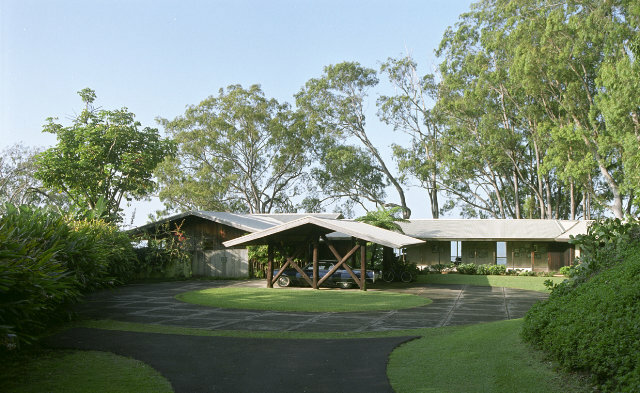 While the IBM building may be Ossipoff's most well regarded commercial structure, the Liljestrand house, located in Tantalus and completed in 1952, proved to be his most impactful residential design. Built for Betty and Howard Liljestrand, the home is an architectural wonder and epitomizes tropical modernism at its finest. The home had such an impact on enthusiasts that House Beautiful magazine devoted 53 pages and the cover to sing its praise. Today, it's been restored and available for tours to the general public. The city's infatuation with midcentury design extended beyond residences and commercial buildings and into civic buildings as well. While the likes of I.M. 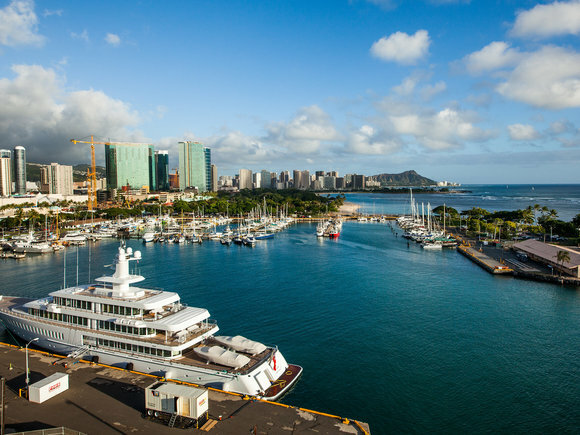 Pei's East West Center at the University of Hawaii and Hart Wood's Board of Water Supply building are particularly noteworthy, it's the crown jewel of civic buildings, the State Capitol, that continues to draw the most praise. 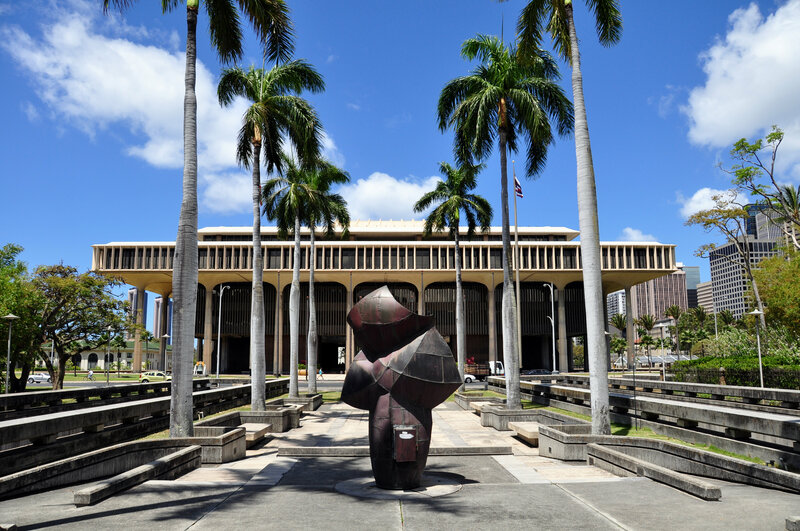 Designed by John Carl Warnecke, arguably one of America's most heralded 20th century architects, the State Capitol serves as a testament to both Hawaii's past and future ambitions. Warnecke, who was a close friend of the late Jacqueline Kennedy Onasis, also designed John F. Kennedy's gravesite in D.C.'s Arlington National Cemetery, the design of the building was loaded with symbolism. The distinct reflective pool that skirts the building is meant to represent the Pacific Ocean while the two legislative chambers represent the volcanoes that formed the islands. 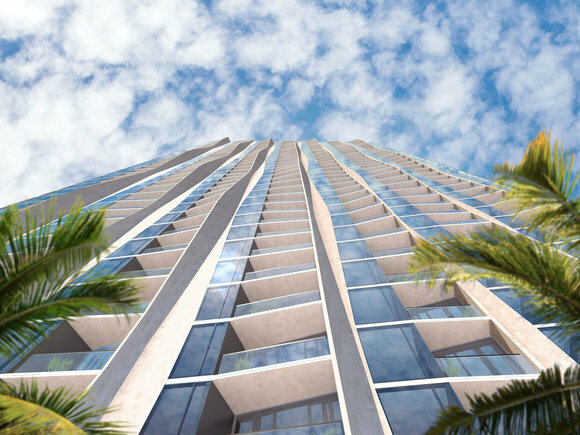 The open-air design allows rain into the building's center, creating rainbows within the structure and reminding us all of how lucky we are to live in such a gentle climate. 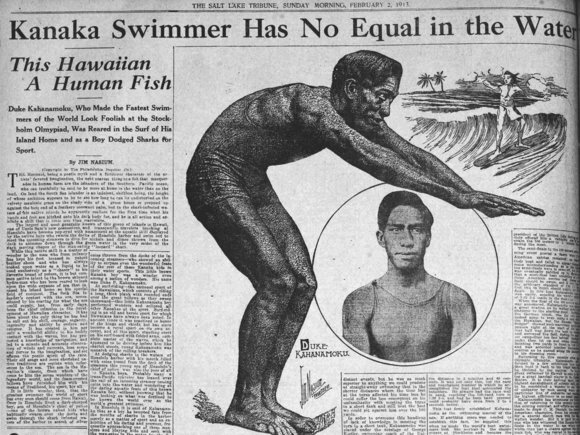 As Honolulu enters its latest building boom and new neighborhoods are being erected, it's important that we as a city take a moment to recognize and cherish our past in all its forms – architecture included. 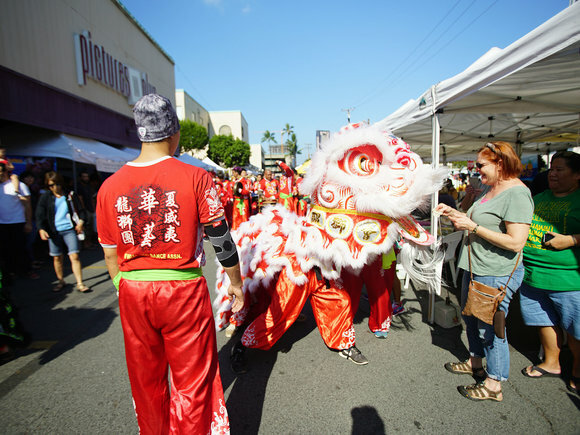 With just a little bit of interest and a touch of spare time, you'll find that there's an entire open-air museum and ode to modern design all around you. All you have to do is look up.